Once a wise man was traveling when he met a wanderer. The wanderer was tired and went to sleep in a very old and dilapidated house that was literally falling apart. The wise man was worried that the house would collapse on the man, so he sat down to watch over him, so that he could warn him in time if necessary. Suddenly the wise man saw a huge poisonous snake approach the sleeping man to bite him. But before the snake managed to reach him, a wild animal came running out from nowhere and killed the snake. The wanderer peacefully slept on. When the wanderer woke up and left the threshold of the house, it immediately collapsed making a huge noise. At this point, the wise man, unable to contain himself any longer, rushed over to the wanderer and begged him, "Please, please tell me. What are the good deeds that you have done which enabled you to merit the two miracles I just witnessed G-d perform on your behalf?” But the wanderer could not think of anything special. "In that case you are certainly worthy of such miracles!” smiled the wise man. In marriage, there are bound to be interactions which lead to one partner, or both, getting hurt on occasion. Naturally, we try to develop our communication in order to reduce the frequency of these kinds of hurtful situations. But when our communication does not work, and we are unable to avoid a painful interaction, let’s never forget the most basic lesson that this midrash teaches us — to say, "I’m sorry.” When we open ourselves up to ask for forgiveness, we will also feel ourselves worthy of Divine mercy. Then we will be open to accepting the Divine assistance that we so badly need as we continue building our marital bond. A healthy relationship is built on clear and honest communication. Listening, understanding, and conversing all contribute to the empathy so vital to a marriage. WHEN SHOSHANA AND JOSEPH got married, they both thought they were speaking the same language. They weren’t. And little by little, they found this out. Take, for example, the time when the young couple decided to spend an enjoyable evening together. What Joseph meant by that expression was a nice, quiet evening at home, sitting near each other, each involved in their own private pursuit: he learning Torah, she reading a book. What Shoshana had in mind was going out for dinner and taking a long walk together afterwards, engrossed in deep conversation. As you can imagine, it did not turn out to be a very enjoyable evening for either of them. 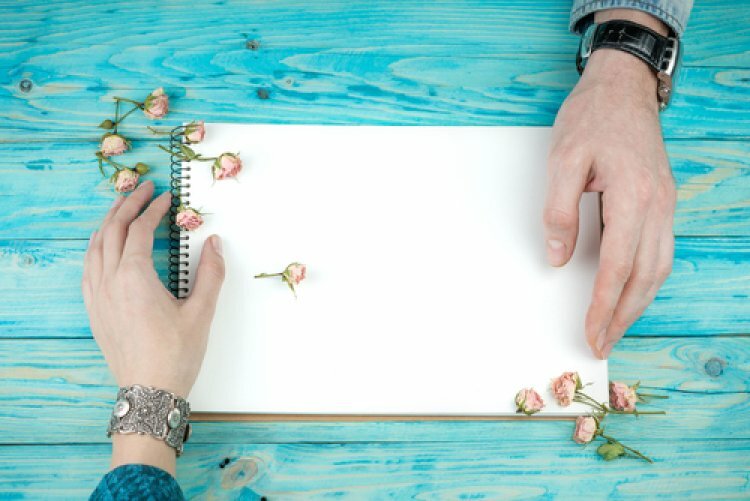 We need to expect to discover that although the words we and our husbands are using may sound the same, they often have widely differing meanings. What Shoshana and Joseph meant by the words “cleaning the house” and "spending a little money” were, well, not exactly similar. Even the simple word "we," as in "we need to take out the garbage," was not clearly defined. This became evident to both of them, rather unpleasantly, as the garbage just sat and sat. A certain rosh yeshivah once heard that the question of who was to take out the garbage had become a shalom bayis issue in one of his student’s homes. One morning he turned up at the student’s door, saying, "I’ve come to take out the garbage! Your home is a mikdash me’at — miniature Temple,” the rosh yeshivah told his astounded student, “and a part of the Temple service was to clean up the ashes." From then on both spouses competed between them which of them would take out the garbage! Understanding another person’s language — the one they learned mostly at home, in their own unique environment growing up — takes a long time. It is confusing when we don’t know how to interpret another’s messages. But if we come into a marriage expecting to find that we are both speaking different languages — with different definitions for even the most basic things — we’ll be more prepared for the challenge ahead. Today, after twelve years of marriage, Joseph and Shoshana share a secret language between them that nobody else can really understand. But once in a while, they still find a new word like "soon," as in “I’ll do it soon,” in which the meaning of the term isn’t clearly defined and shared between them yet. Instead of having an argument about it, though, when the confusing culprit word is finally discovered, they both smile.